TORONTO -- The Bank of Nova Scotia says it has reached an agreement to sell its banking and insurance operations in El Salvador to Imperia Intercontinental Inc.
Scotiabank says the sale, subject to approval, will result in an after-tax loss of approximately $170 million, which largely represents the goodwill related to the business. 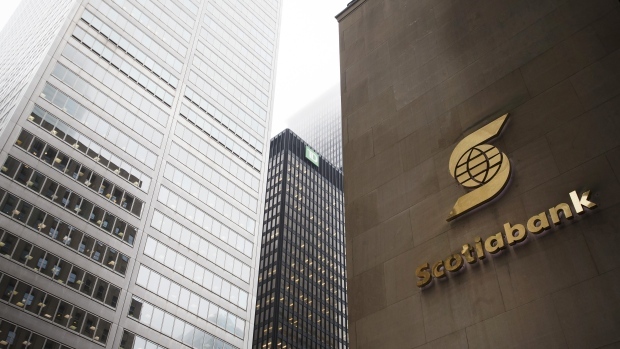 "This transaction with Imperia is in the best interest of our customers, employees and shareholders," said Ignacio Deschamps, Scotiabank's group head of international banking and digital transformation in a statement. "We are confident that Imperia, with the support of a talented team, will be well positioned to continue to grow the businesses and provide a high level of service to customers in El Salvador." Imperia is the main shareholder of financial institution Banco Cuscatlan and insurance company Seguros e Inversiones S.A in El Salvador. The acquisition represents an "exciting new development for our institutions, employees and for the country," said Eduardo Montenegro, chairman of the board of directors of Banco Cuscatlan and SISA Insurance. "We have a long-term commitment to invest in El Salvador and our main objective is to continue serving our customers in the best possible way," he said in a statement. Scotiabank says the sale of Scotiabank El Salvador, its subsidiaries and Scotia Seguros insurance was driven by its strategy to focus on key markets. The deal comes months after the Toronto-based financial institution announced sales of its banking operations in nine Caribbean countries. Scotiabank also previously announced the sale of its life insurance businesses in Jamaica and in Trinidad and Tobago, as well as its pension and administration and related insurance businesses in the Dominican Republic. The cumulative impact of these transactions, including the loss on sale of the operations in El Salvador, are expected to result in a net after-tax gain of $250 million.